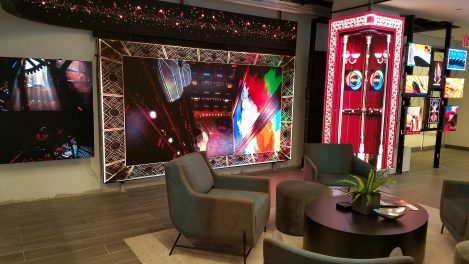 Sansi North America (SNA) Displays’ new Times Square headquarters now features a state-of-the-art demo wall, complete with much of the display technology in the company’s product offering. The demo wall includes a digital display array of varying sizes, resolutions, and pixel pitches. SNA Displays is located at 1500 Broadway, 20th Floor, New York and they will be holding an open house this Thursday 17:30 – 19:30, during New York Digital Signage Week. This entry was posted on Tuesday, October 30th, 2018 at 22:38 @985 and is filed under DailyDOOH Update. You can follow any responses to this entry through the RSS 2.0 feed. You can leave a response, or trackback from your own site.